Physical fitness is an essential determinant of sound health. Testimonies of this fact abound in the lives of soldiers and sportsmen. However, being a soldier or a sportsman is not the only means to arrive at a good physique and physical fitness. The gym is equally significant for physical fitness. In this light, the primacy of physical fitness over other things remains incontestable. All that appreciates this line of reasoning- which category you diligently participate in, strongly believe the leg curl is one of the fascinating equipment the gym has to offer. The great design, shape, and total outlook in which the leg curl is created makes it top the list of the most considered equipment in the gym. I am of the firmly held opinion that nothing is too much to substitute for sound health. To this end, turning up at the gym consistently to use the leg curl is a nonmonetary way to make the payment for sound health. There are spontaneous benefits that come with the use of leg curl. Many of which will be presented in this enlightenment. Be confident that my words are the product of consistent and systematic observation. This article is divided into sections with each having a quality insight to offer pertaining to physical fitness. It is time Leg Curl is defined. The question of what a leg curl is can be wondered by a novice. A wrong way to answer this question is to attempt it via speculation or exposition of the terms “leg and curl”. In the true sense, leg curl is alternatively known as the hamstring curl. It is a type of isolation exercise that centres on the calf muscles and the hamstrings, with two muscles group being chief of them both. Comprising of gastrocnemius and soleus muscles, the calf muscles are made healthy using the leg curl. Also, it applies to the hamstrings which comprise of bicep femoris, semimembranosus, and semitendinosus muscles. The expenditure of this physical effort features in the bending or movement of the lower against the resisting force towards the buttocks’ region. 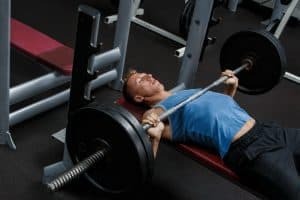 There are other techniques that can be used to obtain more strength to the hamstrings. These techniques come in exercise forms. This exercise is characterized by the use of “the Glute-ham Raise” and ” The Dead Shift. Justice will still be done to these terms in the latter part of this article. Therefore, be ready to receive more insightful facts as you bestow more attention to what you read. Having known that the leg curl machine offers the fitness our body requires, there are equally important things to note. The only reason that affirms the significance of this machine is the reason of safety. An incorrect use of the leg curl machine because of the uninformed nature of the user has some serious implications. It is expedient you have an understanding of these consequences so as to retain the consciousness of avoiding misuse. One of these consequences is that the hamstrings will be contracted in the same way the muscles contract and grows in size from repetition. This is detrimental to the body in that it can disrupt the flexibility of the hamstrings. This frequently happens during the time when the person puts excessive energy into work without necessarily taking the stretching techniques as also the focal areas. In clear words, this implies that to any extent, we are the determinant of the qualitative degree of leg curl that we receive. With this understanding, our experiences with the leg curl exercise are what shapes our view of it. However, it is still something of personal deliberation whether or not we have control over this. 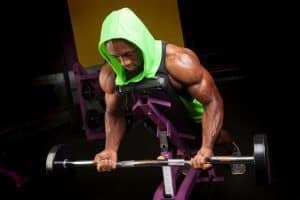 One thing that has been ascertained is the fact that it is the stableness one’s legs plays a vital role when choosing the most suitable leg curl to receive. This view concludes that you should be committed to knowing how secured you are on those machines for the primary purpose of your own safety. ​In usage, the leg curl machines apply to the usage in two diverse ways. The use characterizes the user either in lying or sitting position. Surely, one is bound to start wondering how these positions differ since they both come in resting and relaxing form. Following the difference between the two positions, one may want to ask which one is more effective or reliable. The fact is that even though these methods differ in styles, they both perform exactly the same function and are both effective at exactly the same measure. One is not in any way better than the other. However, a user may consider a method better than the other with respect to ease to use, comfort, and effectiveness. The betterment of one technique over the other is strictly relative to the user. Let us have a more focal description of the lying and the seated machine. Just as it is contextual, the seated leg curl is the leg curl exercise that is performed with the user in a seating posture. If I say this style is preferable than the other style, I would sound intellectually omnipotent. This is because the user can only feel the sensation. Individuals have their preferred method. In the case that you are yet to know yours, you can give the two a try. The purpose of either of the two techniques is the fortification of the hamstrings, and in the practical sense, they both fulfill this purpose. Therefore, there is no cause for alarm and no reason to worry or fret over anything. This is the normal standard. However, in light of many studies regarding health. Many salient points have been made. 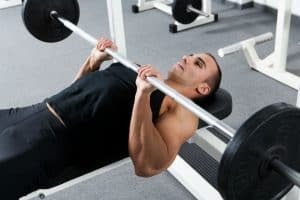 If not done in the right way, the seated leg curl technique puts the lower back to an overwhelming task. Hence, the seated leg curl is prescribed from those that suffer back pain. For this reason, it is obvious that one may need to choose one over the other not because of sensational preference but because of the health factors attached to it. The crucial reason for the specific use of seated leg curl for backache patients centres on the hips. If the seated leg curl, the hip would be relieved from the task of undergoing unsolicited movements. 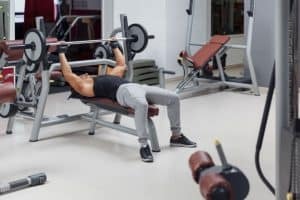 This is needed because the hips certainly follow the lower back instantaneously to the movement of the latter, as opposed to the lying leg curl. The procedure for the use of the seated leg curl is contained below. It is a prudent content that should be studied wholeheartedly especially for first-time users. Direct your attention a little below. 1.Set the lever with the measure of your height and take a seating position on the machine with back leaning on the back support pad. 2.Ensure that the torso on the bench is flat. Also, ensure with your fully outstretched legs, a firm grip is made on the handles of the machine which availability can be found on the sides. At this point, you are required to give your toes a straight positioning or you can make use of either of the two that are contained in the foot positioning section. After this, you are set to kick off. 3.Exhale, wind up your legs in the best of your capacity being also careful of not raising upper legs outside the pad. Once there has been attainment of full concentration, you can do well to hold shortly. 4.As you breathe in, ensure your leg is moved to the initial position. You can do this continued till the measure of continuous activity recommended is reached. There is a lot to learn. 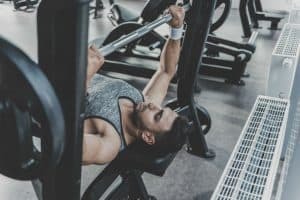 If a trial of the two methods which is sitting and lying did not come with the desired result, there is a great alternative option for the leg curl machine. It is a triumph that promises users gladness. Do not for once think it is weird for not benefiting from the two techniques. There is a reasonable explanation for that. 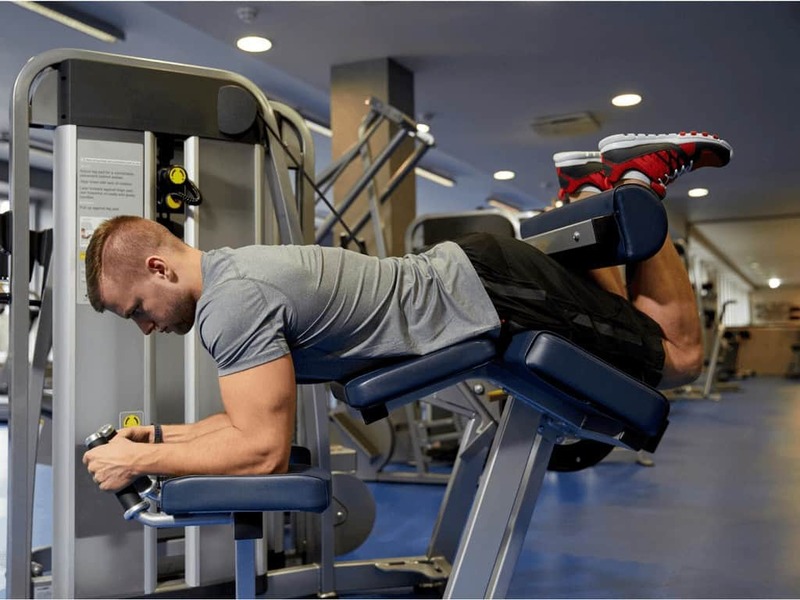 Because the leg curl is a gym fascination to the extent that queues to use it are popular for being long in the most gym, these excesses in desire have provided an alternative device that can perform the exact effect of the leg curl device. It gives me gladness to inform you that there are more than one of this device available. They come with easy accessibility for you to use to your own advantage. Direct attention down a little and know this alternative. Does it relieve you or create euphoria in you that the hamstrings can now be well fortified without the use of equipment? This is absolutely true! The Single Leg Hip extensions essentially feature a unilateral exercise that centres on the empowerment of the hamstrings. This empowerment is achieved when the hamstrings are contracted through the body loading them with its weight. This is how this can be done. Be on a lying position with your knees bent at 90 degrees. As this is done, ensure your feet are hip-width with one leg raised and kept suspended. After this, the requirement that follows is to push your lower bag and hips up through the leg being stabilized. With the latter, your weight will be completely felt in your heel. At the height of your movement, there should be a sensation of an absolutely engaged hamstring within you. Under resistance, ensure that your leg is slow for a maximum time. 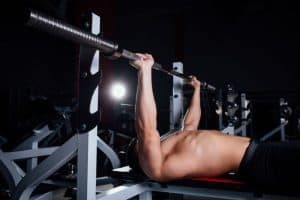 A beginner’s trial of 3 seconds up, 3 seconds down, and 15 reps on each leg seems to be absolutely perfect. Resulting in pressure to the lower back, squats are done with the vertical position. Also, this does not require any equipment for the working of the hamstrings. To do squat, stand on the feet using the hip as the measure of your feet expansion, then let your heels be planted into the floor and face your toes in the front direction. To retain balance during this process, extend your arms straight ahead, and then clap the hand and stick them together. What follows is the movement of the hips back with knees and buttocks bent. After this, straighten the back and lift the chest up. Come down low until there is a parallel of your thigh to the floor. After, this ensures your knees are kept over your ankles. After this, with a push through your heels, stand up. You can proceed from 8 reps to 12 reps.
To have a greater effect, you can graduate to sumo squats. If this variation of feet on the floor is wider, it focuses on empowering the inner thigh muscles. With wider feet, direct your toes towards an angle. Get your heels planted into the floor. Stick your palms together and or grasp a weight. Force your hips backward, get your knees bent and your buttocks lowered. Apply your abs to ensure your back is straight and your chest is put upright. Come down low until your thigh is parallel to the floor and raise your knees over your ankles. Engage your heels to stand up. Proceed with a set of 8 to 12 reps. This alternative option for leg curl engages the two legs at once. It is a type of “Zero Equipment Requirement” that also empowers the hamstrings muscles. This is its working process. Expand your feet on a stand-up position using the width of your hip as a measurement. Take one of the feet forward and drop your hips with your knees bent at 90 degrees angles. Go down low to the measure where your thigh is parallel to the floor. Raise your front knee over your ankle. Force into your front leg that you may go back to standing position. After this, proceed to do one set of 8 to 12 reps. Go back to the other unused leg, and repeat the same. Alternatively called leapfrog jumps, broad jumps empowers the leg and also the hamstrings muscles through explosive movement. It features a squat combined with a full extension of the lower body and does not require any equipment. Be on a standing position with the feet expanded with the width of the shoulders apart. Enter the squat mode by getting your knees bent, and your hips pushed backward. It is followed by your hands swung behind you, after which you will also swing your hands forward too. This time ensure your feet is into the ground. After this, explode to the front standing on your feet and make your hips, knees, and ankles flexible for force absorption. Proceed from one set of 8 to 12 reps.
Happiness is not yet complete until there is sound health. One of the ways to arrive at sound health is by keeping the body fit. The tips offered in this article has shown you explicitly how this works. A consistent practice of all that is contained therein promises a great result. Remain triumphant through physical fitness!